Retrieve beat and timing information for music files. Is there a better alternative to SoundKeyframeTool? Is SoundKeyframeTool really the best app in Audio category? Will SoundKeyframeTool work good on macOS 10.13.4? 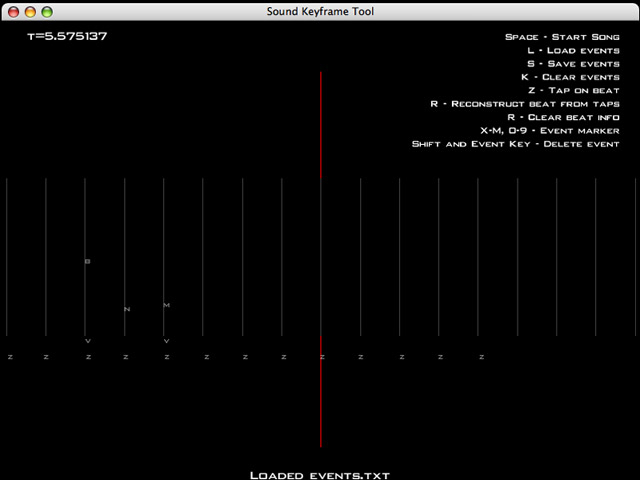 SoundKeyframeTool lets you get precise beat and timing information for songs. It can be used to create tighly synchronized audio visual compositions, or to add custom music to Lumox 2. SoundKeyframeTool needs a review. Be the first to review this app and get the discussion started! SoundKeyframeTool needs a rating. Be the first to rate this app and get the discussion started!